The RBJ Morning Roundup arrives before 8 a.m., giving almost 15,000 opt in sign ups a timely scan of the top headlines and market news at the start of the day. It focuses on the latest information emerging across Upstate New York, around the country—and even around the world. 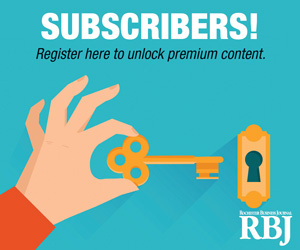 RBJ editors comb a diverse array of media sources to deliver a tip sheet on the most informative news and analysis covering the latest developments in business, politics and much more. 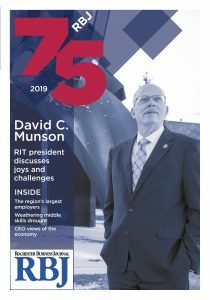 TThe RBJ Daily Report is a business news update emailed on the afternoon of every business day to almost 18,000 local business professionals and community leaders. These decision-makers have personally opted to receive this email broadcast, finding it a “must read” every day. Daily Report messages offer you a one-to-one marketing opportunity targeting hard-to-reach business decision-makers. The RBJ offers a unique targeted marketing opportunity to its advertisers. We have a database of more than 16,000+ online subscribers who have double-opted in to receive emails from us. We can send an HTML on your behalf to these business professionals. The email marketing program is an effective tool for promoting events, seminars, product launches, fundraising and more!